[Interview] How to learn from your website data and improve conversions? Quite simply? Being able to measure stuff gives you insight into how people are interacting with your business. The trouble is, leveraging the insight can be a bit tricky if you don’t know what you’re looking for. Everyone knows, or at least talks about the fact, that data holds the key to most of our business problems. But the idea of it holding all of the answers feels kind of fuzzy and abstract — people want to know how. 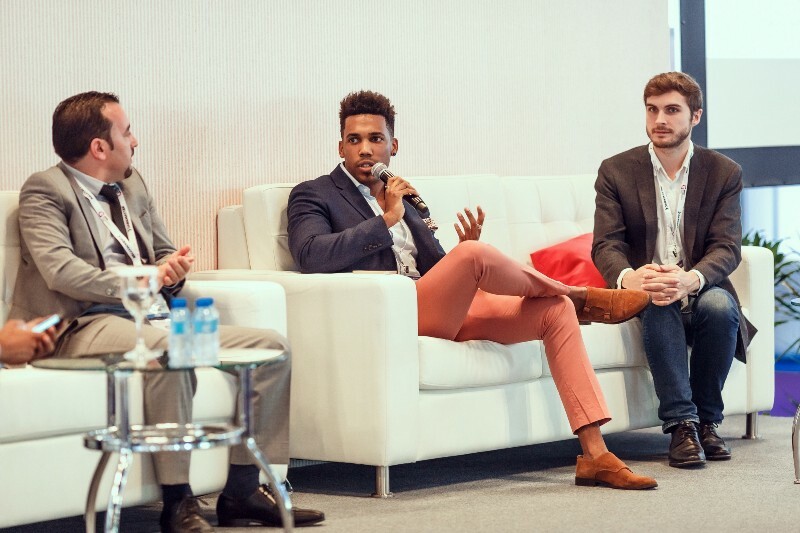 In Dubai’s World Trade Centre during Gitex Technology Week, this very subject was discussed by a panel of industry experts, including myself. “Harnessing & Learning from Enterprise Data” was the topic, which sent the conversation meandering through conversion optimisation, data visualisation and even internal data culture at companies. Now, most of us have probably had reports land in our inboxes, only to find a complex medley of vanity metrics and data puke. It’s about as appealing as it sounds. Which is why a lot of people are in need of a ‘better way’. But metrics aren’t the villain. Having more information is obviously a good thing. Getting better at spotting the useful stuff and then taking some kind of action is really the key. Admittedly, the solution to some problems that you find in the data aren’t obvious. This is when we look to our trusty buddy a/b testing. If you and your boss have different opinions, no problem. Just test it and see what works. Conversations in the office such as ‘I wonder if people prefer the the older feature or the new one that we’ve built’ will become completely redundant. And to help matters, the tools to help you run a/b tests are becoming increasingly more accessible. Google has even released a free (beta) version of it’s testing tool, Optimize 360. Sign up and give it a go. Ultimately, it’s more than the tools and tactics that count. The right attitude to testing assumptions will make the biggest difference. To learn from data, putting a finger in the air is too much of a gamble. Why risk leaving money on the table from a misplaced decision? Listen to the interview for more in-depth examples & let us know your thoughts below. With 10 years of global ‘digital’ experience, Kyle is well versed in the ever-changing digital landscape. As Conversion Optimisation Director, Kyle is responsible for defining the growth strategy for digital businesses, utilises expertise in A/b testing, conversion centred design and data analysis. As well as consulting FTSE 100 companies, Kyle has been responsible for triple digit conversion rate uplifts – resulting in seven figure revenue uplifts.